Last weekend I managed to get some shopping done before Christmas. I needed an outfit which was comfortable and trendy to manage the weird variations in temperature (Thanks Bangalore!). 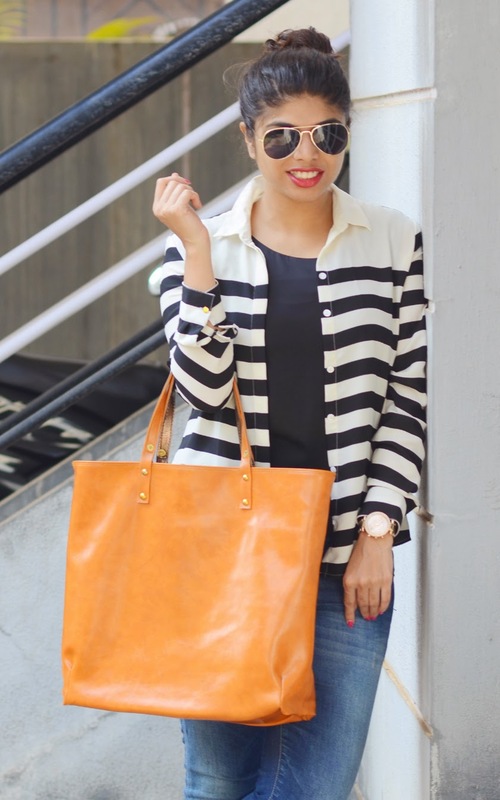 Instantly, I picked the striped shirt to give it a causal twist. 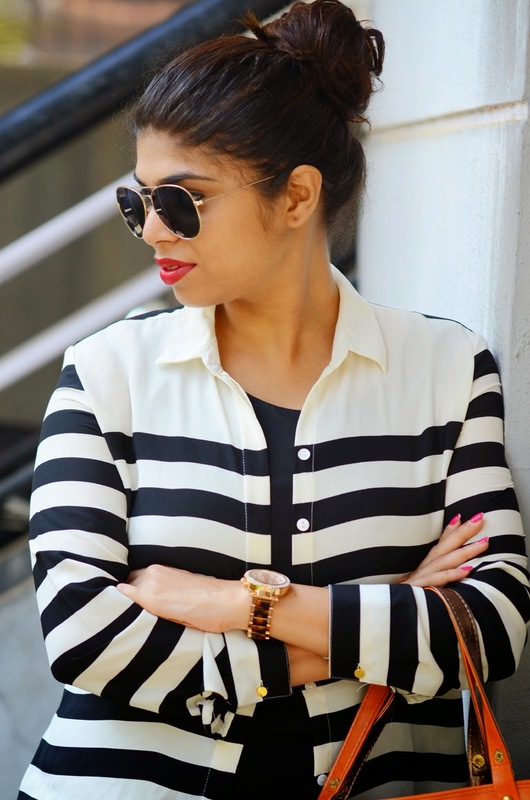 I think most working women face problems especially when it comes to reusing office wear. But few formal wear can be a great layering transition piece for weekend as well. I styled striped shirt with jeans and tank top. Completed the look with statement bling footwear and watch. After eternity, I managed to try out a completely different hair style. Do let me know what you think of the styling. Speaking of shopping, I just came to know about GOSF deals and offers (The Great Online Shopping Festival) which is powered by Google. It is a three-days online shopping extravaganza which is from 10th to 12th December 2014, where you get to loot products by playing using discount vouchers. So, Santa Claus is coming to town early this Christmas. So start making your wish list and shop your heart content on GOSF which kicks off tomorrow. Also find GoIbibo coupons if you wish to travel cause you can save really good while buying online tickets in these three days!